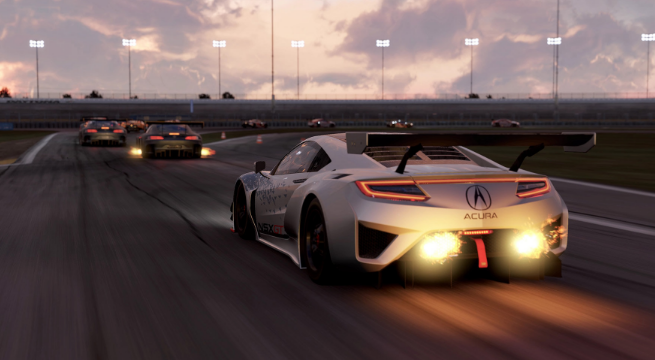 Following the debut of the Project CARS 2 demo, a new batch of info has been released for the upcoming DLC, which includes with more details about what players can expect. Called “The Fun Pack,” the DLC brings new tracks, cars, and upgrades to a game already packed with hundreds of courses and customizations. “The Fun Pack” adds eight new cars to the roster, including two current WRX runners and what the studio says are the most “brutal and dangerous” cars in motorsports history. Among the list, players will find hits like the Audi Sport Quattro S1, the Renault R5 Maxi Turbo, the Ford RS 200 Evolution, and the Audi EKS RX Quattro WRX. Players can also look forward to driving three classic favorite cars from legendary daredevil Vaughn Gottin Jr.: the 1969 Ford Bronco 'Brocky', his Mustang RTR Spec - 5D and his Mustang '66 RTR. The upcoming DLC promises the addition of four invitational events, six brand-new liveries, and two circuits for fans to blaze: the Circuit De Barcelona-Catalunya Rallycross track, and the Brand Hatch Rallycross Historic track. This is what fans expect to be the first of several new DLCs, and Slightly Mad Studios promises one heck of an experience to give players an adrenaline rush as they experience “outrageous flying fun” in iconic cars and modern-day marvels of the race track. Right now, the demo is scheduled for a "winter" release, but further details on the exact date, along with how much the pack will cost, remain tightly under wraps. For the curious player, a demo is currently available to play, and it includes three available cars (the Ferrari 488 GT3, the Lamborghini Huracán LP610-4, and the Formula Renault 3.5) and plenty of track space within the Red Bull Ring to figure the game out. Project CARS 2 is out now for Playstation 4, Xbox One, and PC.